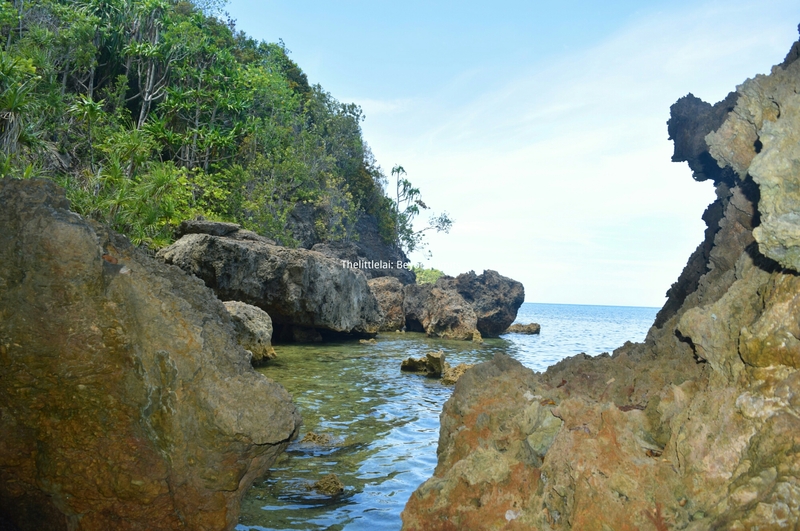 SIPALAY: An aberrant JOURNEY that left us in awe. Have you ever felt frustrations and was surprisingly turned into an aberrant journey? You’re expecting too much and you merely get a dot portion of too much? But the moment you are about to shut down the possibilities of enjoying the journey, you were eventually brought to the genuine beauty of a real travel journey. Landing along a different trail of expectations during our travel to Sipalay city made our trip interesting and awe-inspiring. 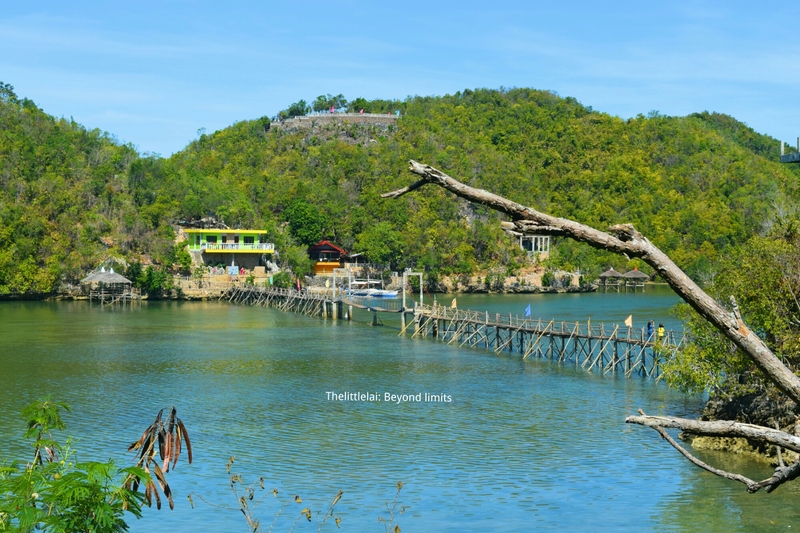 Sipalay City is known for its tourist destinations. It boasts a beautiful pristine beaches, natural fascinations that one can feel and was even dubbed as the New Boracay. 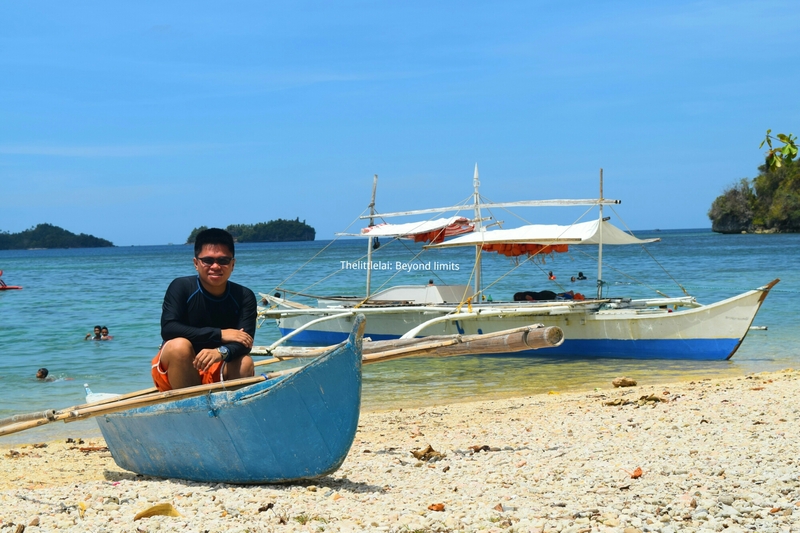 Foreign and local tourist flock its beaches the whole year round not only for swimming, but also the natural terrains and underwater dive sites that are waiting to be explored.The secluded town of Sipalay is blessed with beautiful islets similar in Pangasinan, the Hundred Islands. Since we’re all working and base in Cebu City, our tryst was set at South Bus Terminal. I was invited by a good friend of mine masterryo on their Sipalay Escapade. I’m a joiner on this travel, I haven’t met our travel mate, and my excitement of finally running across a new travel mates is knocking the window of my heart. The minute I arrived at South bus terminal I was welcomed by a long line of passengers. Ryo introduced me to his friend , named Miss Reggie, and Reggie’s friend Miss Caroline. I immediately feel that both of them would surely rhyme on my little space of craziness. If sugar melted in a hot water without stirring, I have surely melted too without staring at them by just simply listening to their stimulating sense of wit. We exchanged jokes and share happiness while making our way to our destination. It was a long hour of travel before we could finally arrived at the “City of the Gentle People” or commonly known as Dumaguete City. A good friend of Ryo invited us to rest at their house because we still need to catch the first trip going to Bayawan City at 3:00 am. (Thanking Ryo’s friend for letting us stay at their house for a short period of time). We’re all tired and we still have a long way to get to Sipalay City. We slept in a bus until we arrived in Bayawan City Bus terminal around 6:00am. We had our first meal, a glutinous rice served on a small plate. We suffer to wait another bus going to Hinoba-an and another bus from Hinoba-an going to Sipalay City. It got us 14 hours of land travel before we can reach the City of Sipalay. 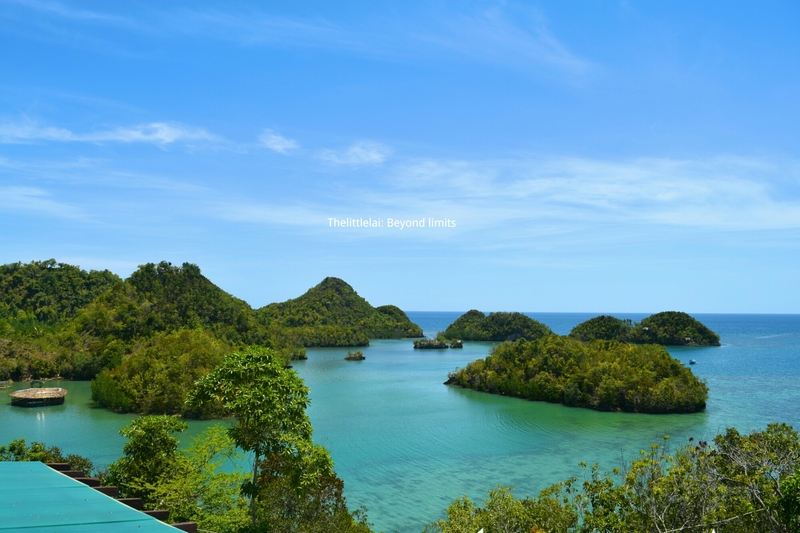 Our real goal, why we visit Sipalay City is because of the crowd-pleasing Resort in social media named Perth Paradise Resort, which is truly indeed a heaven. The moment we got down from the bus, we were looking for a food station to feed our hungry stomachs. Good thing that there’s a food place nearby. Shortly after breakfast, we had to look for a tricycle to bring us to Perth Paradise Resort. Then we talked to the drivers nearby and of course we haggled the price, but I guess our ability to haggle was not enough so we ended up agreeing to their given price. Our excitement is beyond compare, I myself can never explain how I felt as we acted upon our way to the said Resort. It has been my long dream to drench myself to the infinity pool and enjoy the stunning vista. The view from the pool is facing the islets which looks like a chocolate kisses floating on a water. Viewing the photos spreading online left me breathless, how much more experiencing it in a real life. The Resort is sited in the mountain part of the city and an estimated 3 kilometers smooth road and 1 kilometer rough road. But there are things in life that are not meant to experience no matter how you beg it to just let it occur. As we about to set foot on the said Resort, we were welcomed by this idiom “The resort is exclusive today”. I was really having a difficult time to make myself calm, good thing masterryo (Ram), is a man of positivity. We then decided to do some other activity which is an Island Hopping. Our driver told us about the island hopping offered by Tinagong Dagat Island Resort at the very affordable price, while on our way to the Resort, I slowly convince myself that there’s a way better than staying inside the barred cell of my skeptical thoughts that kept looming overhead. And finally our journey led us to the unfolding innate beauty of Sipalay City. 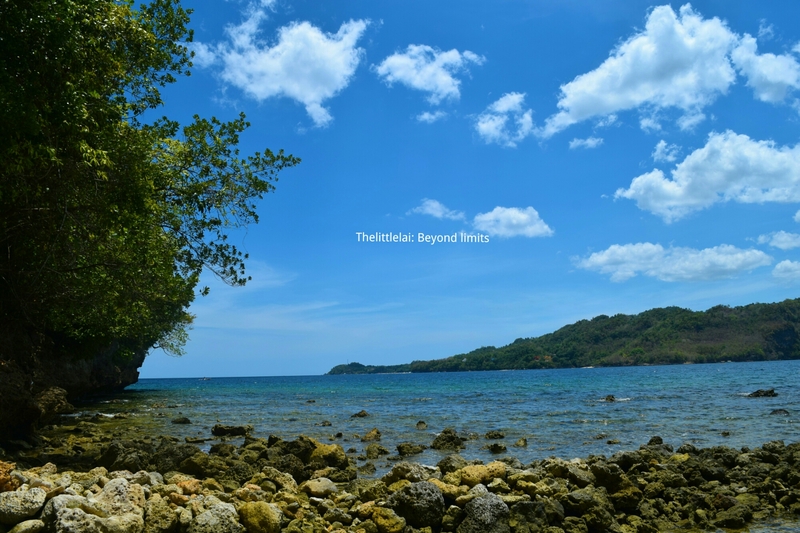 The breathtaking view of this Resort is what creates it out of an ordinary, there is the bridge connecting the two islets as if they unite together with the same goal, and that is to let the visitors and travelers to enjoy the beauty of Tinagong Dagat. It took as a while to decide since we all seem frustrating about Perth Paradise Resort, but we can’t just leave Sipalay without experiencing what this place can provide. I didn’t know Sipalay itself has all the Gem to boast. The beauty of Sipalay slowly revealed to us, my eyes were tardily moving across the surface by turning over and over at the stunning views. The islets are resting on their throne, telling us to never stop gazing at their stunning beauty. I saw secluded white beaches from afar, the leaves of trees are waving themselves to us, I couldn’t afford to blink my eyes so I won’t miss watching the tropical paradise of Sipalay. The coastal cliffs are one of those views to behold the moment you got closer to Campomames Bay. The place is a protected area mandated by National Government to dwell itself in its innate state. I saw some adventure seeker from afar who fearlessly jumping from a medium size sea vessel to a deep water. It must be something you should try when you visit Campomanes Bay. Soon enough our boat dock off in the not so long stretch of clean sand beach Resort. The moment we got down, we all noticed the small table stores lining horizontally, we bought some food to nibble and water as well. 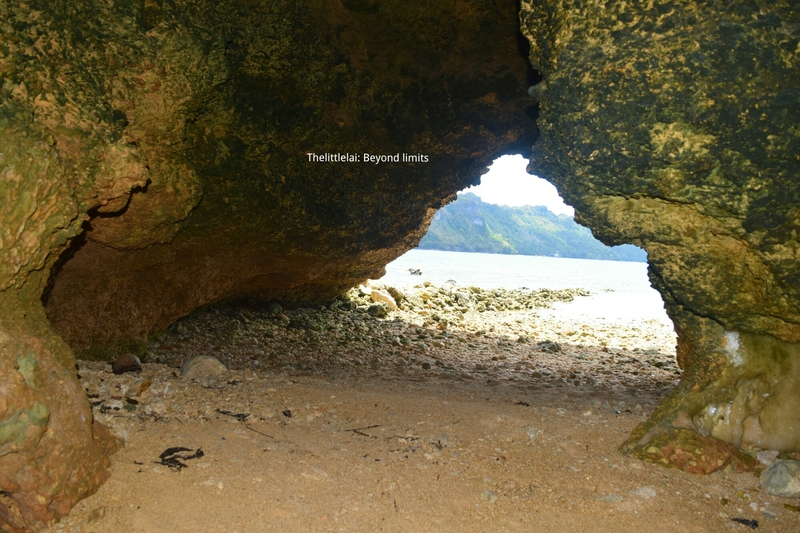 After almost an hour of rest, we then decided to visit the Pulo Cave, located on the other side of the Island. A cave within the island, carved-out by the strong waves over the million of years. What makes it fascinating is the unique features that it offers to every adventure seeker. It was formed naturally by the sea, and the small hole that opens from end to end will surely entice you to get a lot of pictures of it. The spot is a promontory of different mass of rocks forming a cliff and not so high peak that provides a good spot for picture taking. There’s an iconic big rock on the other ends that have caused me to climb and trying to find a good photo of myself. The kindness you always render to people are always being kept within, and safe in mind it will always have its way back. We supposed to visit one island, simply because of time constraints, we weren’t able to make it. Our boat man was kind enough to have granted our plea, we asked him to take us again to Perth Paradise Resort. The moment our boat kissed the edge of the shore, we asked the guard to let us go up and dedicate us a chance to just take a glimpse of the resort, but our skills of inducing plea weren’t enough, the guard didn’t allow us because the resort was exclusive that day. 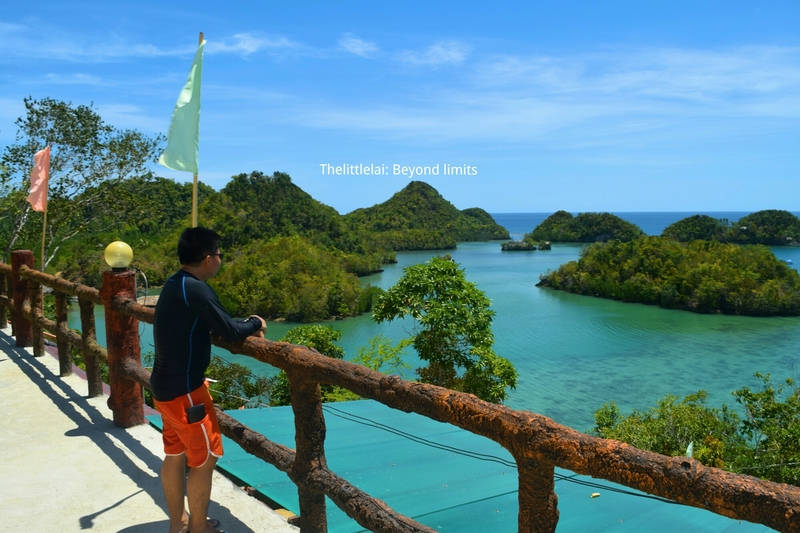 We then made our way back and from afar I saw another Resort that would finally give us the panoramic view of Sipalay, we asked our boat man again to bring us there and he undoubtedly said yes. Shortly enough, we have finally seen the views that we are really longing for, and it was one of the best way to end our short jaunt in Sipalay. The C View Resort was kind enough to have let us entered and allow us to experience the iconic vista of a floating islets on their throne. The Resort has a small swimming pool and a good lofty portion where every visitor and travelers can feed their eyes with the nature’s beauty laid before their eyes. The cities of Bacolod and Dumaguete are the two entry points to Sipalay City. It is 4 to 5 hour ride by bus and a 3-hour drive by a private car from Bacolod City or from Dumaguete City. Take a bus from Cebu South Bus Terminal. Ceres Buses leaves on an early basis, consider the earliest trip as much as possible because the travel time from the terminal to Liloan Port is approximately 3 hours and 30 minutes. The fare is Php 180 pesos for air-conditioned buses. At the Liloan port, you need to pay Php 62 for the Terminal fee and ferry ticket to Sibulan, Negros Oriental. Travel time will only get less than 30 minutes. From Sibulan port, ride a Public Utility Jeepney (PUV), bound for Dumaguete City, from the City proper, ride a tricycle going to the Ceres Bus Terminal. There’s a direct trip from Dumaguete to Sipalay only serve once a day at (1:00 PM), the fare is (Php 290). If you can’t catch it, you can ride buses bound to Bayawan, the fare is (Php 125), and ride another another bus going to Hinoba-an, the fare is (Php 80), then take another bus to Sipalay, the fare is (Php 36). There is a daily flight from Manila to Bacolod–Silay International Airport via major airline companies, Philippine Airlines and Cebu Pacific Air. From the airport, ride a taxi or van going to Bacolod Bus Terminal, travel time is around 30 minutes. The moment you get there in Bacolod Bus Terminal, look for a Bus bound to Sipalay, travel time is around 4-5 hours. But if you’re traveling with a group of friends, I suggest to better just rent a van, it’ll be more convenient and faster. Travel time will only take you 3-4 hours via private Van or Car. Please notify your contacts if you have some important transaction outside because the place has a poor signal reception and sometimes no mobile signal at all. If you’re projecting to go there with any of the resort that you wish to visit, please have your reservation before hand to avoid unseen circumstances. If your entry point is in Dumaguete City, do have your side trip to Bacolod and have a glimpse of Bacolod’s beauty. If you’re planning to visit with a group of friends, I suggest you’ll rent a private van to save some of your time. Please always bring extra money with you just for in case of emergency because you can’t find any ATM machine when you arrived at the mountainous tropical paradise of Sipalay. Always be good for locals and always ask them whenever you wish to experience more about Sipalay. There are still places to visit in Sipalay, if you have leisure time, you can opt to stay longer like 2-3 days. Crowded month is during January to May. Please visit Perth Paradise Resort when you’re in Sipalay, make sure to have your reservation before going there. Note: This is a back and forth computation From Cebu going to Sipalay and Sipalay going back to Cebu. 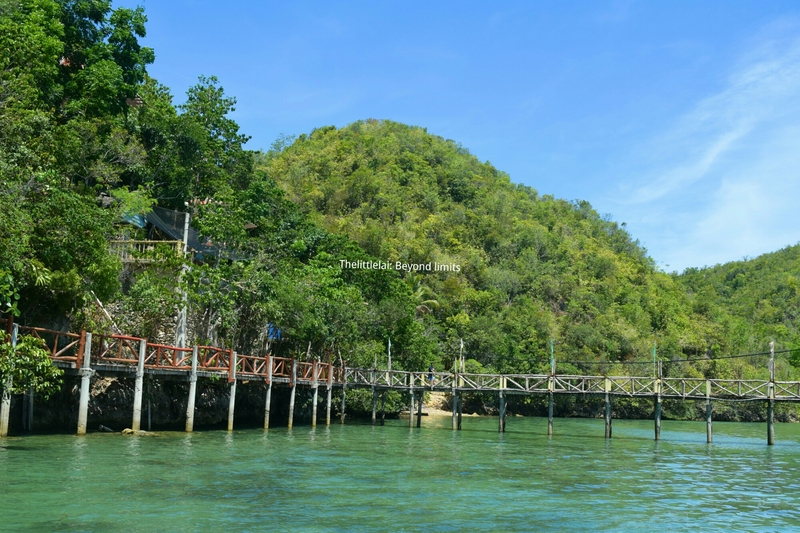 Sipalay Ceres bus stop to Tinagong Dagat: Php 100.00 via tricycle. Note: You can always choose to either travel to Bacolod or Dumaguete after your Sipalay escapade. Bus going to Bacolod City from Sipalay is Php 200. You can also choose to ride a Van located near the market area of Sipalay, the fare is (Php 300). NOTE: PRICES ARE SUBJECT TO CHANGE.THIS QUOTATION IS A TRAVEL EXPENSES SHARED BY A GROUP OF 4 PEOPLE. Previous Post: Sugbo Mercado: It’s more than a taste, it’s an experience! Next Post: GOLDEN PRINCE HOTEL & SUITES: Celebrating 10th Year Anniversary with an exciting activities and surprises for everyone. AHHH!! I would love to go visit! Lovely pictures! Thanks for sharing. Truly, Negros has all the right to be boastful! By the way, those are wonderful shots, Lai. The pictures speaks for itself. What a lovely place and unique shore. I love the little islands. The photos are gorgeous, which makes me more envious, as seeing it for real must be awesome! Stunning! What a glorious place. The virtual tour has left me in awe of Sipalay…I presume all of these are islands in Phillipines..loved the pics of the azure blue sky and the mesmerizing seas with those tiny islands! The header image is too good with the words sipalay as clouds of white! What a relaxing place. It reminds me so much of the Hundred Islands in Pangasinan. It looks so idyllic and the rocks are just beautiful to photograph. Will definitely refer to your travel tips if ever. Thank you for dropping by. Please do visit the place when you have a chance and I’ll be happy to hear your experience as well. Hello Madz, Thank you for dropping by as always hehehe. I hope you can visit the place. I can’t wait to read your narrative as well about Sipalay. Thank you for appreciating my photos, but I don’t think I had given enough justice to the beauty of Sipalay. Yeah! Thank you for dropping by. I’m glad you liked the place. Hopefully you can visit and see those islands face to face as well. Thank you so much for your good remarks on my blog. Seeing it for real is really awesome! I hope you’ll get the chance and visit this Gem as well. So mag Photographer nalang ko aneh? Hahaha bitaw pero mas nice jud ka mga kinuhaan nga photos man layo ra kaayo ako ah. Hello Thank you for dropping by and for your lovely comment. Have a great day ahead! Wow! Thank you so much, I hope I really do. Have a great day Garfield, send my regards to your lovely Garfield cat. Yeah! Hello brother, those little islands are actually really looks like the one in Pangasinan, but I haven’t been to Pangasinan hopefully soon. Salamat brother! Have a great day ahead! Thank you for dropping by. 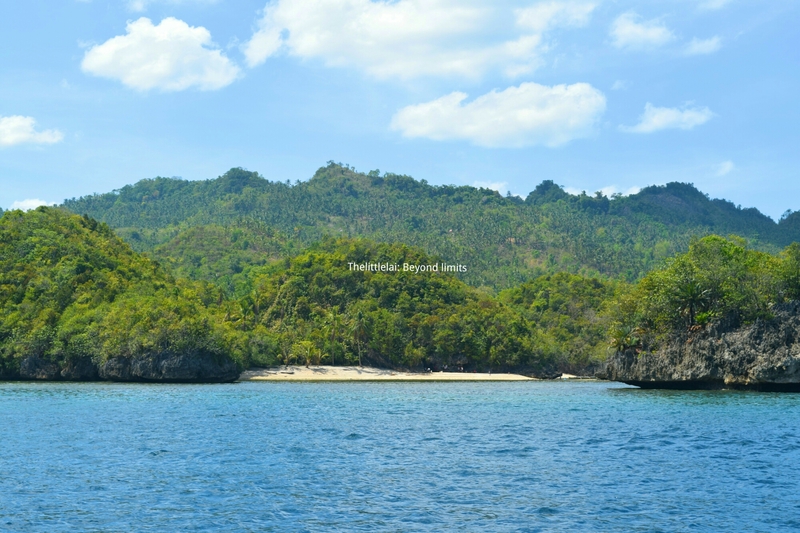 Enjoy the beauty of Sipalay when you go there. Have a great day ahead! Yeah the place will surely bring your to a deep reverence for nature. Thank you for dropping by. Have a great day ahead! Thank you so much for your good remarks. Yes, all those islands are in the Philippines. How I wish you could visit the stunning beauty of Sipalay as well when you get the chance. Have a great day! Hopefully, yes Phillipines is abound with nature’s splendour .. Sadly, our visit to Negros was cancelled. Hopefully we could schedule another one soon. So for now, I’ll just feast my eyes with your travel adventures. Keep safe! You are welcome! A great day to you as well. great photos brother!.. been there 3 times already, ha ha.. babalik-balikan talaga ang Sipalay! Sipalay is indeed a revelation. Love the beautiful resorts, they look ravishing and hold the promise of some great times. Pulo caves look very intriguing. Hope to visit your beautiful country some day. Wow Sipalay is amazing. I didn’t even know it existed! That water looks just incredible. It reminds me of other parts of the Philippines or Indonesia. I expect it will become much busier in years to come. Thanks for the great comprehensive guide. Glad you had an amazing time in what looks like pure paradise! The blue, pristine waters and murky caves have sold me. Would love to make this getaway one day soon! Whoa this is incredibly beautiful! I would love to go here. It almost looks like the chocolate hills of Bohol are in the water! 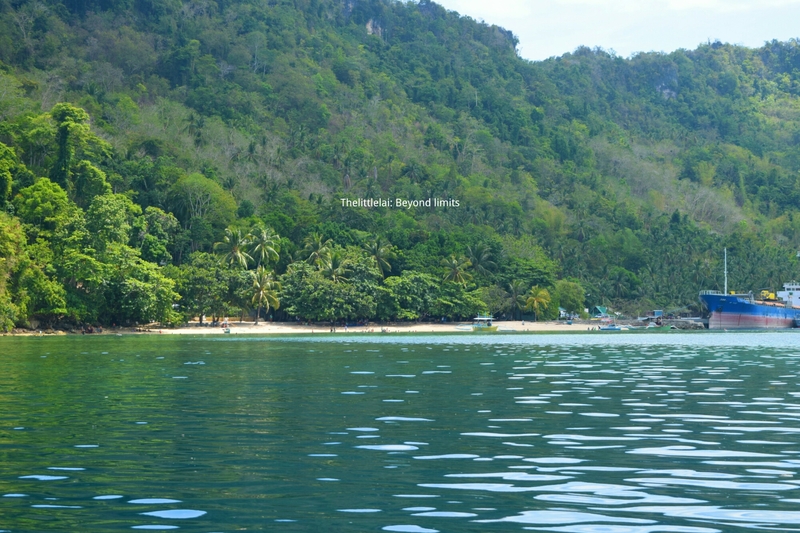 The relief of Sipalay is so varied and wild. I think that you can discover something everywhere. Or, I don’t know, this is how it looks for me just sitting here in my armchair and reading your post. I usually travel at a very slow pace just to have time to explore more than the tourist places in a country. The Pulo cave would be a place that I wouldn’t miss if I knew it’s there. And those small houses floating on the water, they give me such a peaceful feeling. Congratulations for sharing this amazing places with us. Your tips at the end are really where the value is! Really good to know that there isn’t easy access to an ATM and to make the important phone calls prior to entering this area. I had no idea Sipalay is known as the New Boracay! It looks very pristine and what Boracay actually looked like in its former glory! Such a gorgeous getaway to a location of never before heard of. It looks like pure paradise and has been added to my list. Would love to go diving! 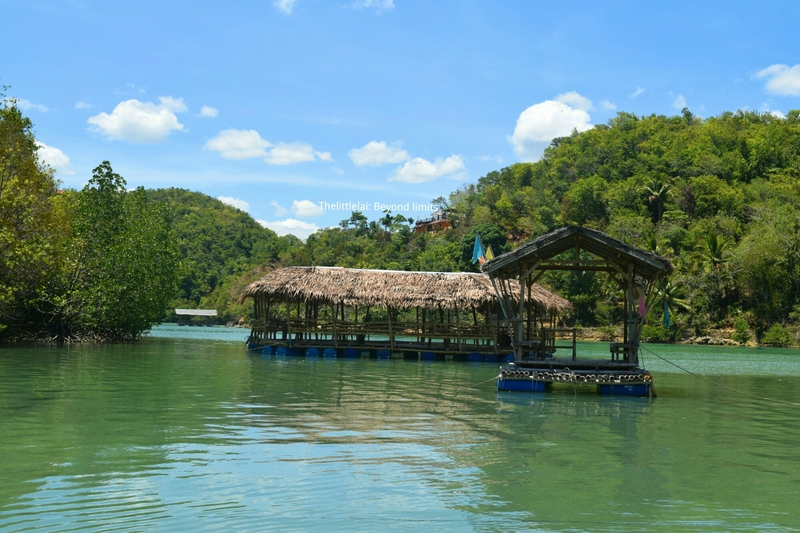 wow!Another fantastic location from the Philippines!I always enjoy your posts and experience the beauty of the Philippines.It seems your country is with lot of destinations that any nature lover would love.Views of Sipalay is amazing.I also love to see such a resort on water.It is a fantastic idea! This is such a beautiful place to visit. I would really love to visit this place when we finally take our Cebu trip, I just hope there will be enough time to visit every lovely attraction. This is something I would definitely like to visit. A perfect place to commune with nature and feel closer to God! So much wonders of nature to see in Sipalay. I should have seen your blog when I was in Dumaguete. I was hoping to see some caves but I wasn’t sure where to go. Perhaps next time! I’ll definitely use this guide!! Pristine beaches indeed. I haven’t truly experienced the waters of Cebu that much. When I was there, i only did business and a few leisure but havent tried any beaches. But it iw nice to discover the beauty of Cebu even through blog. The next time I go there, I have a few ideas where to go and enjoy my visit to The fullest. Wow! You only spent that amount to visit this lovely place? I have heard so many good things about Sipalay and your pictures can tell us how beautiful it really is. Your post is very informative and inviting! This sure is a nice place to visit during long weekends. Wow I’m really impressed by the post. The area looks incredible, like paradise. However I really appreciate the effort you put in with the tips and costs. I can imagine being stuck there with a bad signal and having an important call to take! wow, this is truly a paradise! It reminds me of the Hundred Islands of Alaminos and seemingly an unspoiled version of Coron. I would love to witness the remarkable beauty of this place! That pristine water and amazing rock formations is definitely a beauty to marvel! I would love to go visit this place, looks like a dream setting.I have not visited anything similar as yet. Definitely worth the effort of this long journey to this beautiful place. I am more keen to do the photography there, terrific insta opportunities. Oh, God! That’s beautiful! I should have been here if I didn’t miss my flight going to Bacolod! Haha! Anyway, it looks like you really enjoyed your tour and the place looks absolutely stunning. I would love to bookmark this and use this as my future reference when visiting.